We bring forth high quality Braided Copper Flexible Connectors which are the flexible connectors manufactured by using copper wire of any diameter as per requirement. They are made from bare, tined and silver plated copper. The contact areas of the connectors are assembled with pressed copper connectors and bare and on request of the clients tin or silver coating is also available. Hot tinned dipped ends can also be provided to give perfect conductivity. We manufacture connectors in any width and cross section. 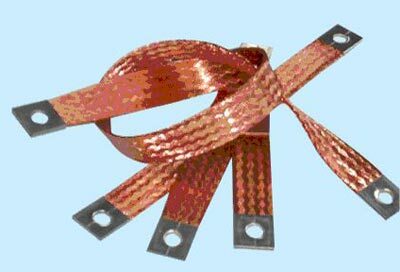 The material is used from either flat copper braided wire or round copper stranded wire.